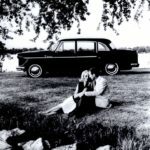 If you go to The Gilmore Museum in Hickory Falls, Michigan, you may find a somewhat surprising vehicle, the Checker Jeep. At the Gilmore the fully restored Jeep has a big sign on the windscreen declaring it to be a Checker product. 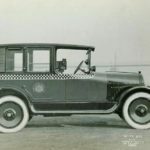 Yes, the Checker Jeep, unless you live under a rock, you should be familiar with the Jeep or aka General Purpose vehicle that was created to support troops fighting during World War II, but most associate the Jeep with two manufacturers Willys and Ford. The Jeep has been a integral part of the American automotive scene for over 75 years. So what is a Checker Jeep? In this blog we’ll try to put the pieces together. At the onset of World War II, the U.S. Army contacted 135 companies asking for working prototypes of a four-wheel-drive reconnaissance car. Only two companies responded to the request: American Bantam Car Company and Willys-Overland. American Bantam was founded in 1929 and set up shop in Butler, PA. Over the course of the next ten years American Bantam would sell Americanized versions of the British Austin Seven. By 1940 Bantam was on the verge of bankruptcy and as a going concern its future was unknown. 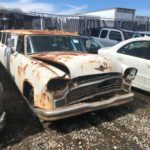 Willys based out of Toledo, Ohio was well known, yet was a financially troubled company that had survived the depression but was no longer the automotive giant it had been earlier in the American automotive industry. The Army had set what seemed like an impossible deadline of 49 days to supply a working prototype. Willys asked for more time, but was refused. The American Bantam Car Company had no engineering staff left on the payroll and solicited Karl Probst a freelance designer from Detroit. Probst laid out full plans for the Bantam Reconnaissance Car (BRC) prototype and cost estimates in just two days. Bantam’s bid was submitted, complete with blueprints on July 22. Much of the vehicle could be assembled from off-the-shelf automotive parts, custom four-wheel drivetrain components were supplied by Spicer. The hand-built prototype was completed in Butler, Pennsylvania and shipped to Camp Holabird, Maryland for Army testing on September 21, 1940. The vehicle met all the Army’s criteria except engine torque. 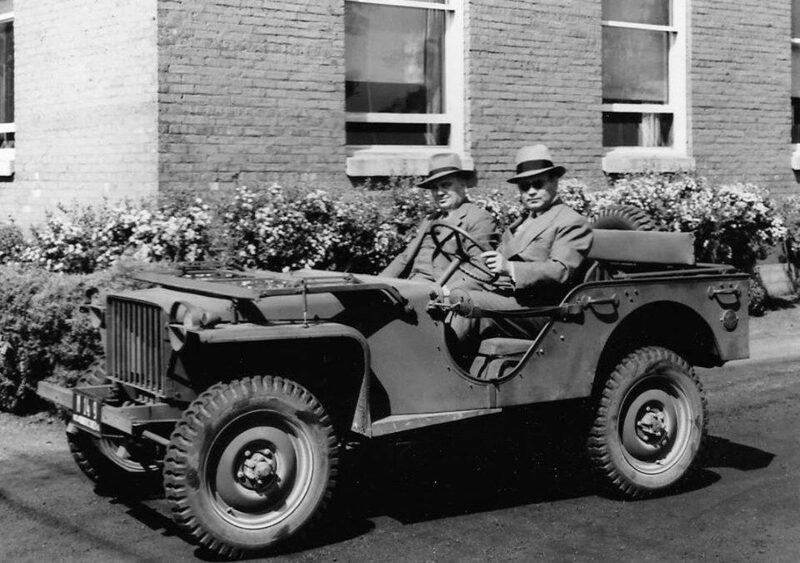 Over the course of several months working with the Army, Bantam evolved the Jeep into the Bantam BRC 41. Orders were placed for the Lend Lease shipments to allied nations, eventually totaling an estimated 2,605 BRC 41s, 62 of which had four-wheel steering, as requested by the US Cavalry. The BRC 41 were produced from March 31 through December 6, 1941. Bantam’s inability to keep up with the rapid production of wartime vehicles, as well as their limited design and production facilities, led to the army’s decision to supply the Bantam design to Willys and Ford, who were encouraged to make their own changes and modifications. Fifteen hundred of each of the three models (Bantam BRC-41, Ford GP, and Willys MA) were built and extensively field tested. Bantam was not yet out of the picture. During this time, Bantam needed to find a partner to demonstrate to the US Government that they had the ability to supply the army with a constant flow of Jeeps. Who was the most logical partner? Clearly the answer was Checker. Checker and Bantam each agree that in the event that either obtains orders from the United States Governments for Bantam cars or other products in excess of its production, it will offer to assign or otherwise transfer, subject to requisite approval, to the other party, that portion of the order which it cannot fill. This agreement is pretty clear. If Bantam won the bid to produce Jeeps for the Army any excess orders that could not be filled by Bantam would be filled by Checker. So what are the Checker Jeeps? 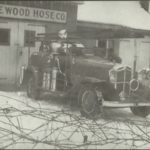 Three Jeeps were assembled in Kalamazoo, two Bantam BRC 41 Jeeps and one four wheel steer Bantam Jeep all produced in May of 1941. The key word here is “assembled”, it’s highly likely that these three Jeeps were test units provided to Checker as assessment vehicles. 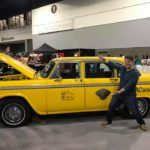 If the contract was executed Checker Cab Manufacturing would have to be up and running in a very short period of time. In order to execute production Checker would have to have some test units to assist in developing potential assembly strategies. 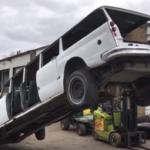 It’s unclear as to whether these were knocked down crated units shipped to Kalamazoo from Bantam and assemble by Checker engineering or complete assembled units shipped to Kalamazoo, disassembled and then reassembled by Checker engineering. 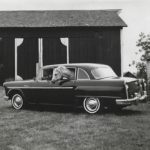 Noted Jeep expert and owner of a Checker Bantam Bill Spear purchased his Jeep from former Checker engineer Jim Stout, Spear has conducted a complete review of the Checker Bantam. His web site has a wealth of information. “Having now performed an autopsy, it is clear that the car is unquestionably a BRC. The dies and castings and other details are all Bantam. I really do not feel this car was “built from Bantam plans” as some have suggested. There would have to be some difference somewhere. Moreover it has two data plates (presumably) from two different companies indicating that it is a Bantam. 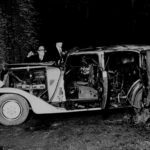 But it is not so clear to me now that the car was assembled in Butler”. 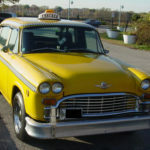 Many within Checker Cab circles including Jim Stout himself, have broadly stated that the Checker Bantam BRC was developed by Checker, clearly this is not the case. 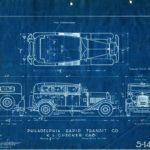 Bantam historians have found evidence of designer Karl Probst forwarding plans to Checker chief of engineering Herb Snow. That along with Bantam serial plates make it pretty clear that the Checker Jeeps are test mule Bantams. In the end Bantam did not execute its agreement with Checker. The War Department required a large number of vehicles to be manufactured in a relatively short time and clearly the combination of two independent companies was not a formula that the Army felt comfortable when placing an order. The Willys design won the bid. Willys-Overland was granted a non-exclusive license to allow another company to manufacture vehicles using Willys’ specifications. The Army chose Ford as the second supplier not Bantam. Building Jeeps to the Willys’ design. Willys supplied Ford with a complete set of plans and specifications. American Bantam, did win a contract to build approximately 2700 of Jeeps to the BRC-41 design, but not enough to act on the Checker agreement. All was not lost for both Bantam and Checker, both companies won a government contract to build heavy-duty trailers for the Army. Additionally Checker picked up a contract to produce K-35 van trailers for the US Signal Corps. Also please check out our website and the largest free Checker archive library on the internet. The Gilmore Car Museum is located in Hickory Corners, MI, not Hickory Falls. Article was very informative.